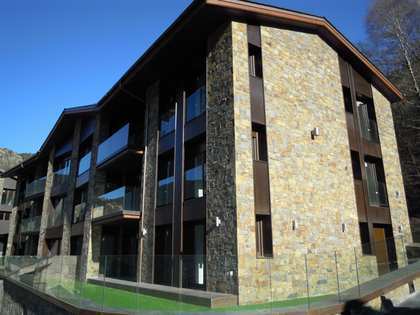 Modern 3-bedroom duplex apartment with views across the valley, for sale in Escaldes-Engordany. Duplex apartment for sale in an exclusive location in Escaldes-Engordany, close to all services. This 2-bedroom apartment has a built size of 208m² distributed across 2 levels. The apartment, located on a lower floor of the building, has an entrance hall leading to 2 clearly defined areas. The living area is made up of a multipurpose space, guest toilet and the living-dining area with access to the terrace from with views across the valley. This space is bathed in natural light throughout the day. The modern and well-equipped kitchen is perfect for the keen home cook. On the lower floor of the duplex we find the sleeping quarters; there is a single bedroom, a bright double bedroom, a fully equipped bathroom and a convenient utility. 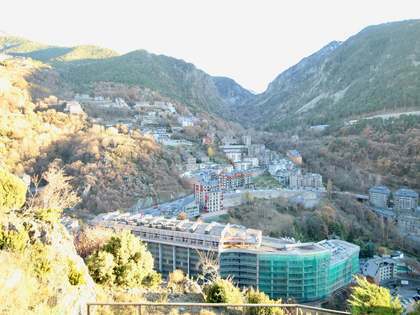 With stunning views and large living spaces, this duplex would make a perfect family home in Andorra.